Southwest Airlines and Project for Public Spaces are pleased to announce that we are now accepting applications for the 2017 Southwest Airlines Heart of the Community grant! Through this exciting partnership, PPS has witnessed four years of impactful projects in 18 cities, and we are eager to fund the next round of innovative placemaking projects in cities served by Southwest Airlines. Click here to learn about all of our past projects, and to see why you should apply! 2015 Heart of the Community grantee, Civic Plaza in Albuquerque. How exactly do these grants help communities? An initial evaluation conducted by Southwest and Project for Public Spaces determined that the Southwest Airlines Heart of the Community grant leverages an average of four times its amount in additional funding from other sources. 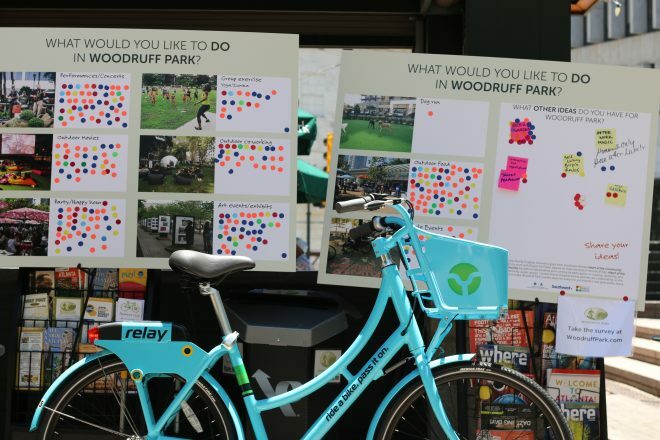 Not only does this boost the valuable work of grant recipients, but it also shows how initial investment in public spaces can bring a number of other positive outcomes for cities. The Open Air Reading Room in Providence’s Burnside Park, for example, brought hundreds of new families to the park, giving kids and their parents yet another reason to visit. 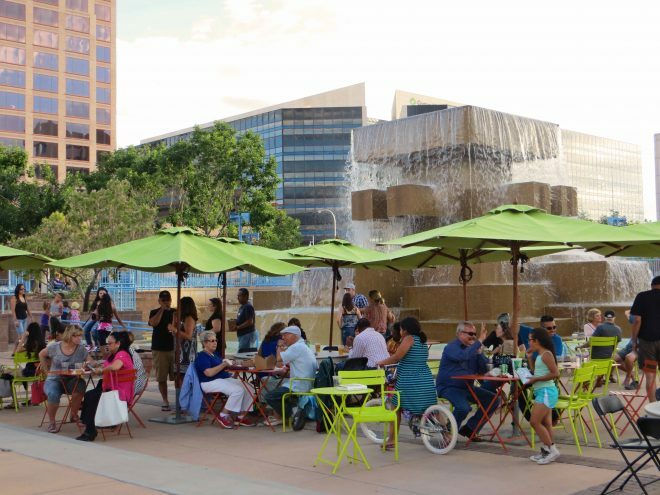 In San Diego, after the Southwest Airlines Heart of the Community grant encouraged adjacent museums to spill out onto the Plaza de Panama, food trucks and other vendors began to arrive in full force. In Baltimore, local restaurateur Josh Cowan of Dizzy Cow Pizzeria (see image below) has also benefited from increased patronage to Pratt and Light Plaza—a 2014 Heart of the Community project—and every Thursday the restaurant serves lunch to hundreds of locals during the weekly farmers market. We hope to see you soon in your city! The 2017 Southwest Airlines Heart of the Community grant application is open now through December 5th. Make sure to join us for a live webinar on November 9th, 2016 2PM ET about the Southwest Airlines Heart of the Community grants to learn more about this exciting opportunity to create a vibrant, active space at the heart of your community. Please register for the webinar here.